'We should write because it is human nature to write' Julia Cameron For those jumping into the writing life for the first time and for those already living it, the art of writing will never be the same after reading this book. 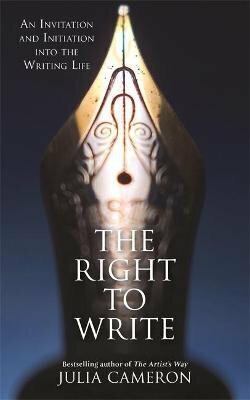 Provocative, thoughtful and exciting, The Right to Write will draw you back again and again as you seek to liberate and cultivate the writer residing within you. This isn't a book of rules, which can stifle creativity - it's a book about using writing to bring clarity and passion to the act of living. The secret is in breaking loose from the grip of your established thought process to unleash the wave of creativity which is striving to express itself. With the techniques and illustrative stories in The Right to Write, you'll learn how to make writing a natural and intensely personal part of your life. You'll also discover the details of Cameron's own writing processes, the ones she uses to create her poetry, plays, essays, novels and bestselling books, including the world famous The Artist's Way.